Accidents happen all the time. But when those accidents are preventable, suffering the consequences of the incident can be more than just irksome: it can be grounds for a lawsuit. In Florida, Statute 784.05 addresses what’s called culpable negligence. It’s a concept worth understanding if you’ve been injured in an accident. In the event you’ve been seriously injured in any type of accident, consulting with a local personal injury attorney could be a very good idea. Failing to secure the railing of the stairwell in an apartment complex. 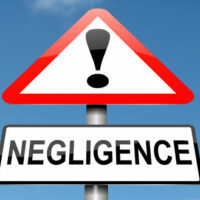 The penalties associated with culpable negligence depend on many factors, including the individual’s previous criminal record, whether or not an injury occurred as a result of the negligence, and whether or not firearms were involved. Other expenses associated with economic losses related to the accident. Additionally, it’s possible to collect damages related to pain and suffering. This is generally a sum calculated by looking at the cost of medical expenses and lost wages, combined with assessing the severity of the injuries. How will the injuries impact daily life? Will there be long-lasting, or even permanent consequences to you? How much treatment is anticipated down the line? All of the questions must be addressed. If you’ve been the victim of someone else’s negligence, the experienced and aggressive legal team at the Salazar & Kelly Law Group, P.A. will fight for justice on your behalf. Whether the injury is the result of an auto accident, an altercation with an animal, a fall, a swimming accident, or anything else, we are on your side. Contact us in Kissimmee, Orlando, or Altamonte Springs today to schedule a free, confidential consultation.